Leading SAFe 4.5 Canberra Introduction The capital of Australia, Canberra is famous for its many monuments of national importance. The seat of the country?s administration, Canberra is slowly creating a niche as a destination for other businesses with plans of a establishing a data hub also in the pipeline. In this emerging economic hub, KnowledgeHut presents the Scaled Agile Framework Training in Canberra. About the Course The Scaled Agile Framework (SAFe 4.5) is a methodology crafted by Dean Laffingwell which helps large scale and multi team projects experience seamless transformation into an Agile framework. The Scaled Agile Framework Certification in Canberra by KnowledgeHut is a learning experience which is aimed at getting participants to understand the role and responsibilities of a Certified SAFe 4.5 Agilist, responsible for helping enterprises embrace a Lean-Agile framework. The Scaled Agile Framework Training in Canberra is a 2 day e-learning programme that will arm you with the knowledge and information to work towards this required certification which is awarded after an exam. The KnowledgeHut Scaled Agile Framework Certification in Canberra starts off with an introduction to the Scaled Agile Framework and you will be introduced to the fundamental Lean and Agile values. Students are then taught about the SAFe 4.5 principles and as the online classes progress, there will be sessions on implementing the Agile Release Train and PI Planning. In the second half of this online program, our expert trainers will deliver lessons on executing and releasing value and you will also learn how to build an Agile portfolio. Towards the end of the training there will be sessions on leading a Lean-Agile Enterprise. The KnowledgeHut Advantage There are many benefits of completing the Leading SAFe 4.5 Certification Training in Canberra including the ability to execute and track an Agile implementation progress and learning how to promote the use of SAFe 4.5. 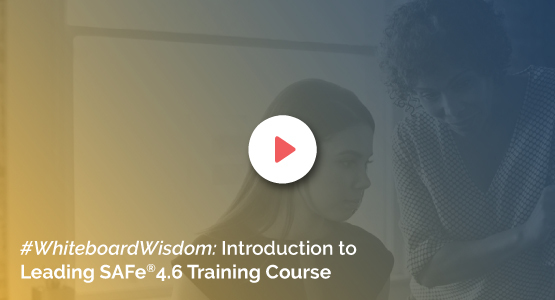 This workshop includes course material authored by the Scaled Academy and after these immersive lessons you will be well placed to attempt the SAFe 4.5 Agilist certification exam. KnowledgeHut has helped thousands of individuals across the world gain important certifications by blending a convenient learning experience with a live classroom environment. The price of this KnowledgeHut Leading SAFe 4.5 online course includes the fee for the SAFe 4.5 Agilist exam you will also get a one year membership with Scaled Agile. This course is ideal if you are an executive, change agent (coach), development/QA/program manager or any other professional taking part in a SAFe 4.5 rollout.